Schistosomiasis is also known as snail fever or Bilharzia, caused by parasitic flatworms called schistosomes that live within the bloodstream. 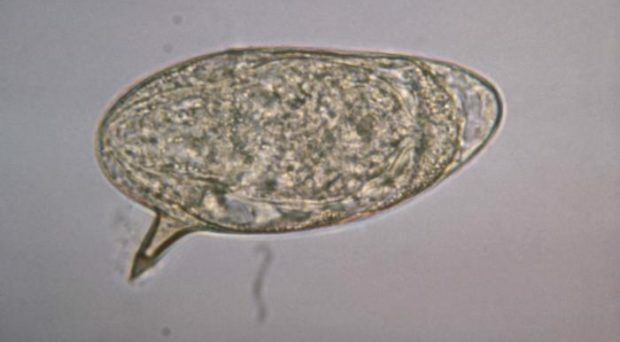 Schistosoma haematobium infects the urogenital tract while Schistosoma mansoni infects the intestinal tract. Transmission of schistosomiasis has become a major public health concern in many developing countries. Certain freshwater snails play a crucial role in the life-cycle of schistosomiasis and serve as obligatory intermediate hosts. In Africa, Bulinus and Biomphalaria snails are involved in the transmission of S. haematobium and S. mansoni, respectively. Schistosomiasis is a chronic illness, typically with a low mortality rate, but high morbidity often related to irreversible damage to internal organs. The risk of transmission is pervasive as many freshwater bodies in endemic regions could be considered as potential transmission sites until proven otherwise. As a part of my PhD study, I carried out malacological surveys in November 2017 and May 2018 with my supervisor, Professor Russell Stothard and fellow PhD student Dr Seke Kayuni, a clinician from Malawi, along the southern shoreline of Lake Malawi in Mangochi district. This part of the shoreline has received less attention on malacological surveillance in comparison to Cape MacClear where urogenital schistosomiasis is well known. The fieldwork aimed to collect various snail and environmental data from different sites along this part of the lake. These data included geographical information and water chemistry plus general snail species diversity. The findings have recently been published. The collected specimens of Bulinus will be very important to serve my PhD project upon morphological and molecular studies in the UK. Additionally, working with Dr Kayuni who was searching for schistosome infections in people, I collected various schistosome eggs on FTA cards for DNA barcoding. In November 2017, we were particularly surprised during our snail surveys as we encountered Biomphalaria at 2 sampling sites along the lake. This snail has never been reported to occur in the lake or within Mangochi District. With molecular DNA analysis of the mitochondrial gene cox1 we revealed the snails to be identical to Biomphalaria pfeifferi from Chiweshe, Zimbabwe. In May 2018, we examined local school children (n=175) from three primary schools close to known Biomphalaria sites. The prevalence of intestinal schistosomiasis by circulating cathodic antigen (POC-CCA) at each school was 46.7%, 25.0% and 9.1%, respectively. Furthermore, seven children were confirmed to have egg-patent S. mansoni infection by faecal microscopy. Our surveys provide an excellent example of how malacological surveillance can be used to precisely target parasitological surveys to pinpoint the focality of schistosomiasis. Our finding indicates some changes in the distribution of intermediate host for schistosomiasis in Lake Malawi. These changes may also be important in understanding another changing aspect of transmission. We have now encountered hybrid schistosomes between S. haematobium-mattheei infecting children. I will therefore continue to examine all samples collected to shed new light on this aspect of schistosomiasis in Africa. Although schistosomiasis transmission in Saudi Arabia is low, there is still some active transmission loci. The Ministry of Health is setting up a project plan to eliminate schistosomiasis in some areas in the south. As a part of this project plan, which runs alongside my PhD research study, I am going to conduct fieldwork in key districts where the active transmission is thought to be taking place. Later, using the DNA techniques I have applied in Malawi, I will compare the snail fauna and transmission dynamics between Malawi and the Kingdom of Saudi Arabia. Mohammad Alhabri is a PhD student at the Liverpool School of Tropical Medicine funded by a PhD scholarship from the Ministry of Health and employed as a medical molecular biologist in Saudi Arabia. His specific interests are in medical malacology and molecular epidemiology of schistosomiasis and focused on assessing the diversity of snails and schistosomes in key transmission settings in Africa and Saudi Arabia.